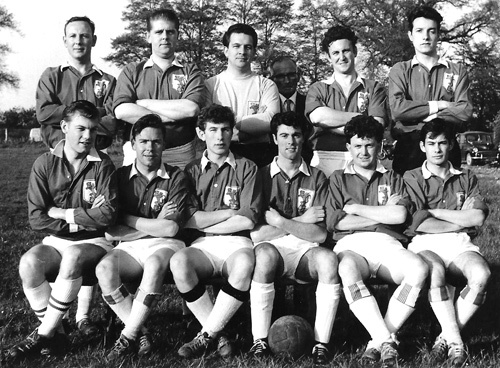 FRIENDSHIPS formed on the football pitch more than 50 years ago are being rekindled by a group of former players of Staple Hill AFC. 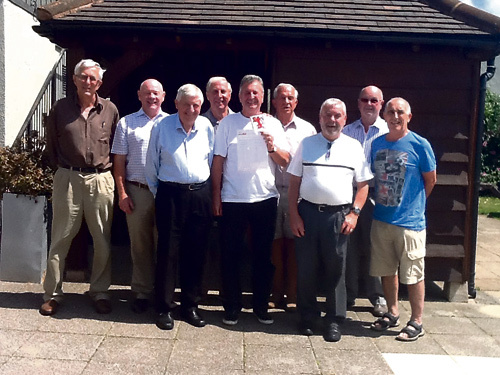 Members travel from far and wide to attend reunions every two months at the Sandringham in Downend, where they can share stories and memories and catch up on what has happened to them over the last half-century. In the course of compiling a history of the team, they have discovered that a Staple Hill football club was formed in the 1890s and had their biggest moment in 1906, when they played Manchester United in the FA Cup. Staple Hill were at the top of the Western League at the time, several leagues below Man Utd, who were in the Football League Second Division. Nevertheless, Staple Hill took the lead in the match, before eventually going down 7-2. Bob Spicer, who joined Staple Hill AFC in 1956 at the age of 16, said he believed Winston Churchill had been at the game, although he had not yet been able to prove it. He urged anyone with information or photographs to get in touch. Bob recalled that the leading light behind the club in its heyday in the 1950s and 1960s was Alf Higgs, who built it up until he was running four teams. The set-up lasted 49 years until the club disbanded in 2004. More recently, a Staple Hill Orient team based at Vassals Park has started playing in the Bristol and District League. “We used tom play at Page Park. We decided we wanted our own groundwith our own pavilion and moved to the Walker Playing Field in Blackhorse Lane,” said Bob, who played in goal. This was not without its problems. “There was many a time when we started a game with nine men because two were expected from Bristol and hadn’t arrived on the bus. They used to change on the line and join us,” said Bob. Former players at the October reunion included Brian Gardner, who lives in Newport, Micky Pleass, from Surrey, and Dave Spencer, from Horsham. They swapped recollections of a game against “the USA” played at an American airbase in Oxfordshire where the opponents all wore shoulder pads. “We used to have a great time. They were a great club. It is nice to keep in touch,” said Micky. Anyone with information about the club is asked to contact Bob on 01454 314033 or email him at bobspicer@hotmail.co.uk. Alternatively, get in touch with former club captain and long-serving player Brian Gifford, on 01934 833406. The next reunion at the Sandringham is on December 4 at noon.